Posted on September 9, 2011 by Rory Groves Posted in Releases	. 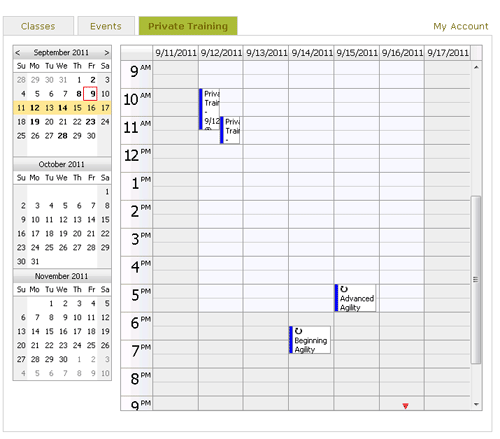 In this version we added the ability to schedule private training sessions to the Client Registration Widget. This allows you clients to login and reserve a time on your calendar and then pay for that session online using PayPal. With this we also added the ability for your clients to view their past and upcoming events which include seminars they have signed up for, private training sessions and more.